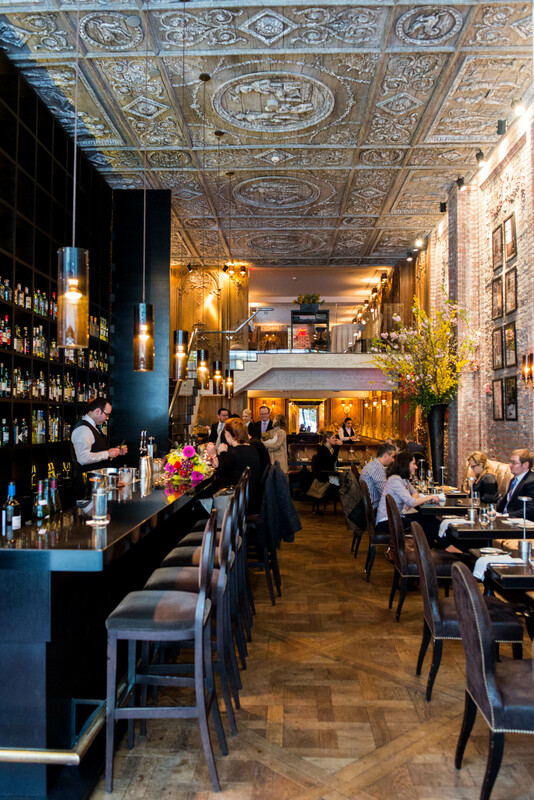 Tucked away on the constantly bustling 57th street just off of 5th avenue is a little piece of elegant oasis named Betony. Both lunches and dinners here are now prix fixe and while the dinners might be a little out of the day-to-day price range, the good news is that lunches are still very much affordable. 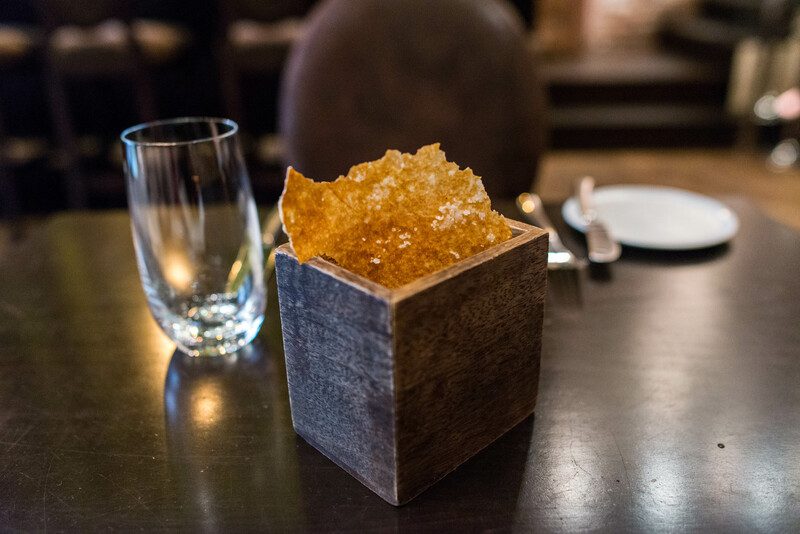 Every table is stocked with a little box full of wafer thin pretzel like crackers, each sprinkled with giant flakes of sea salt. A little nibble before the amuse bouche arrives. 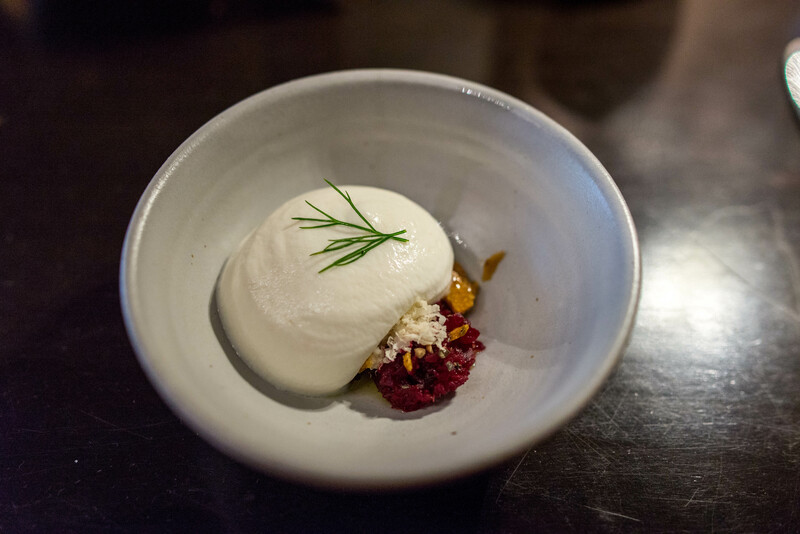 A small bowl of finely diced beets with goats milk and horseradish foam. Just a tiny twig of dill to finish the delicate amuse. 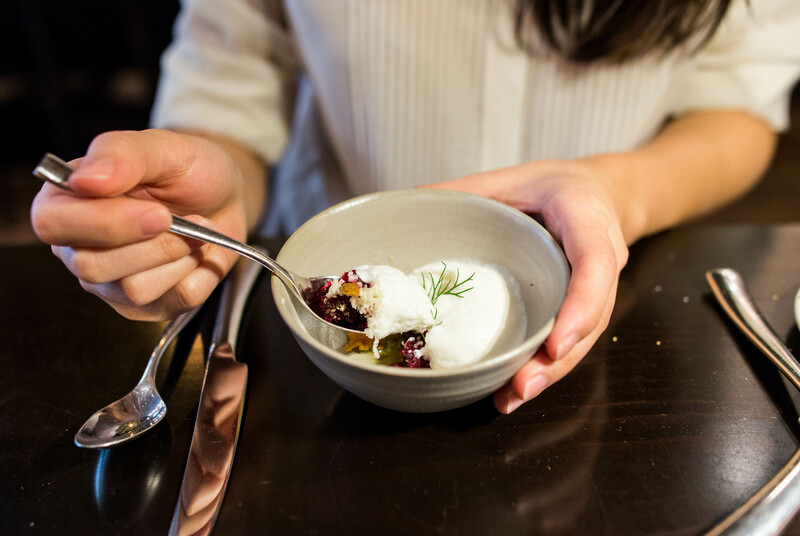 Just as you dig into the beets, the bread arrives and is delicated placed on the plate with tongs. 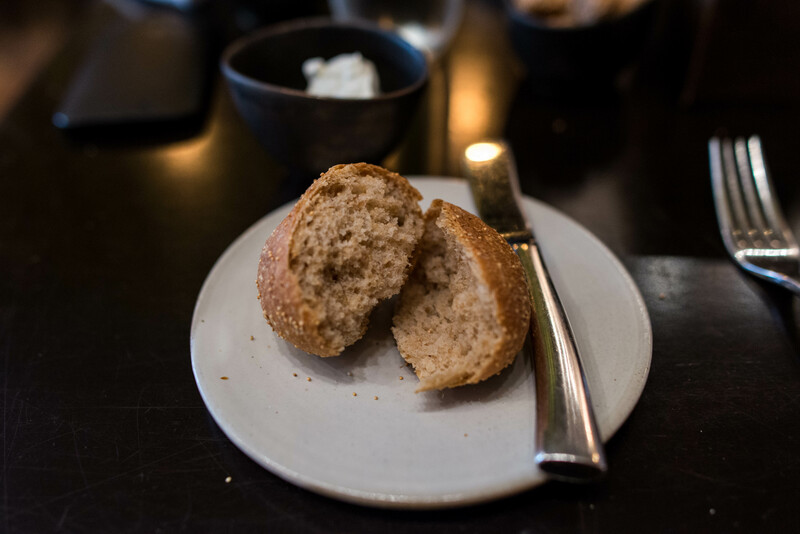 Accompanying the warm housemade rolls is whipped butter, so soft that it literally disappears into the crevasses of the roll. 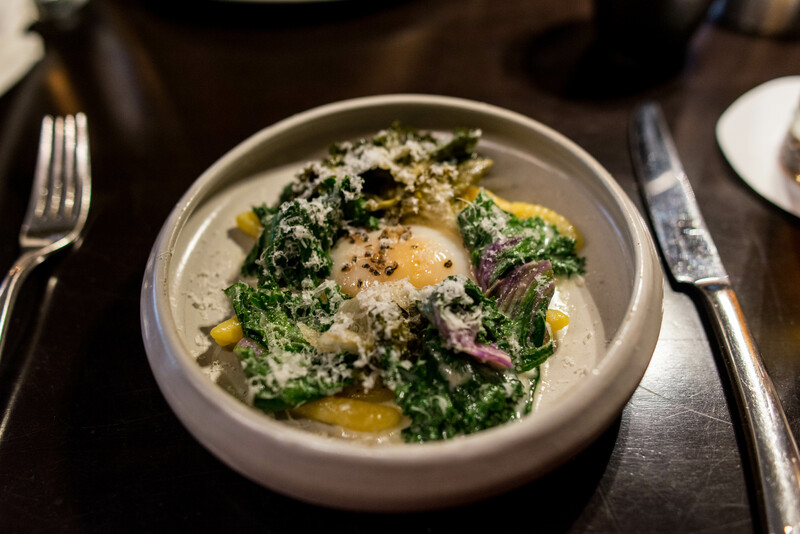 The poached hen egg with sourdough cavatelli with kale is beautiful and hearty. 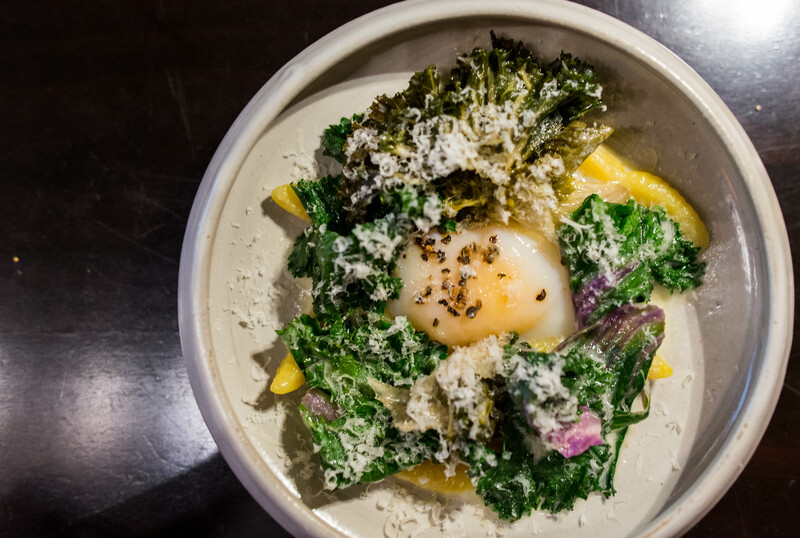 The hen egg yolk just melts right into the chewy cavatelli. The sourdough lends a hint of tang, tempered by the sweetness of the egg yolk. 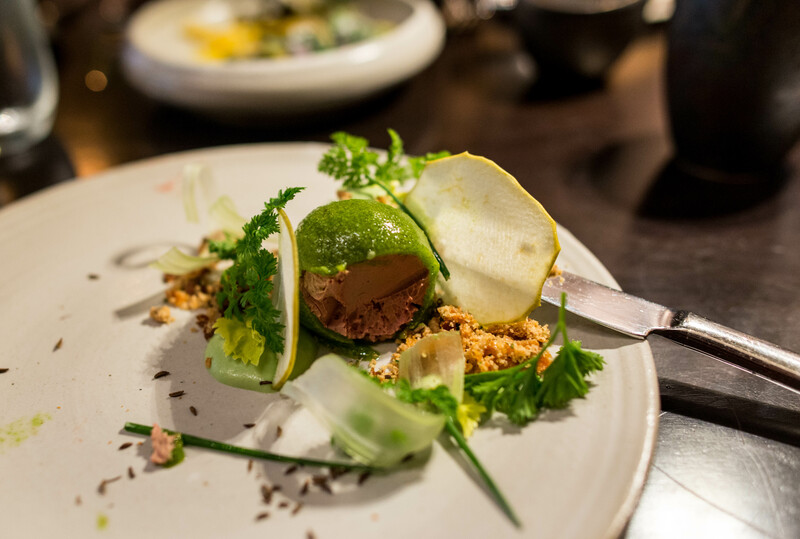 The chicken liver mousse is a deceivingly filling dish. 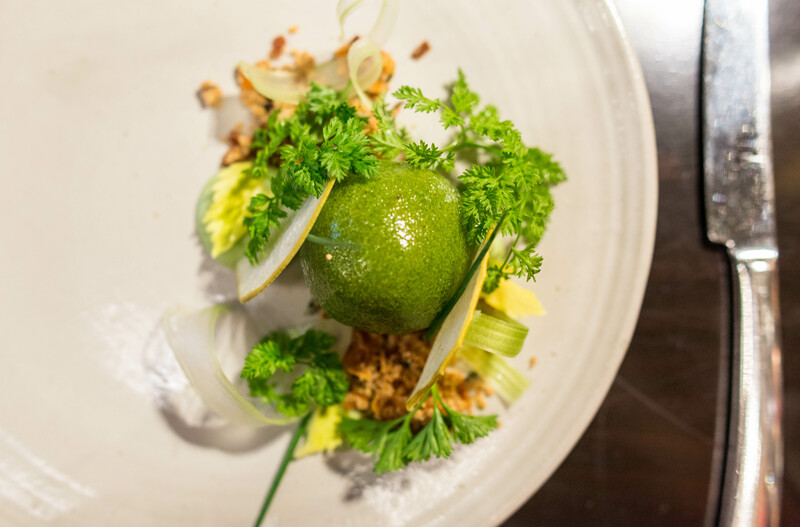 A slightly bigger than golf ball sized mousse is covered in a parsley foam and sits on a bed of rye crumbs. The knife cuts into the ball to reveal a silky smooth mousse with a complex yet classic flavor profile. There are a few entree options that are worthy of ordering, including a savory and unctuous seared striped bass with black trumpets and teff. However, after tasting the roasted beef tenderloin, I knew where my heart lies. 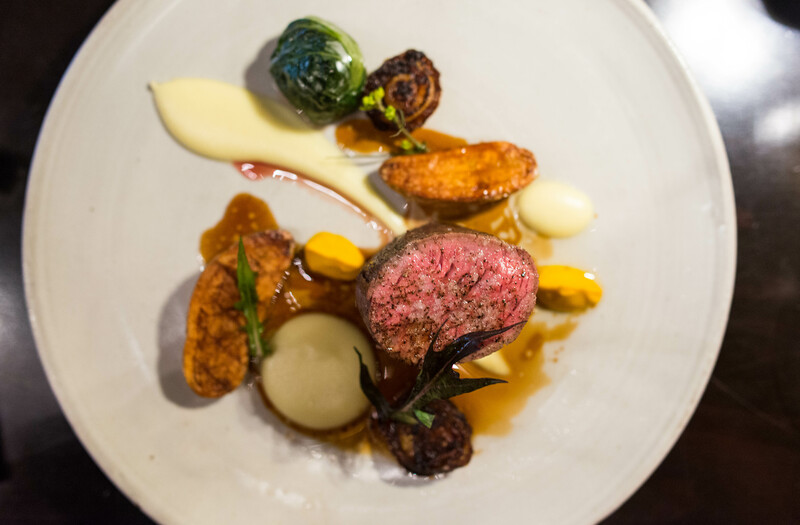 The single piece of tenderloin is cooked to a perfect medium rare. The sweetness hits the tongue first then followed by a smokiness that lingers. Don’t neglect the little ball of what might look like a piece of roasted brussels sprouts. Cut into it and you will find the most flavorful delicious beef. 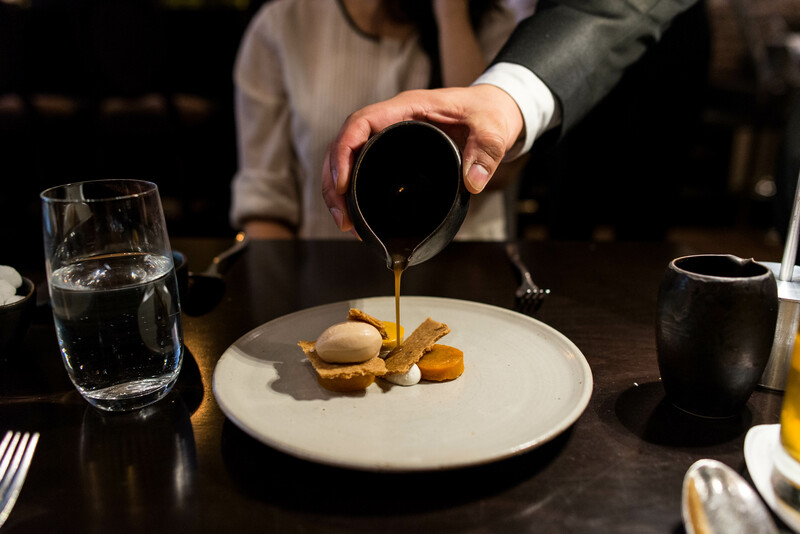 The desserts at Betony incorporate savory elements, whether it’s cheddar or sweet potato. 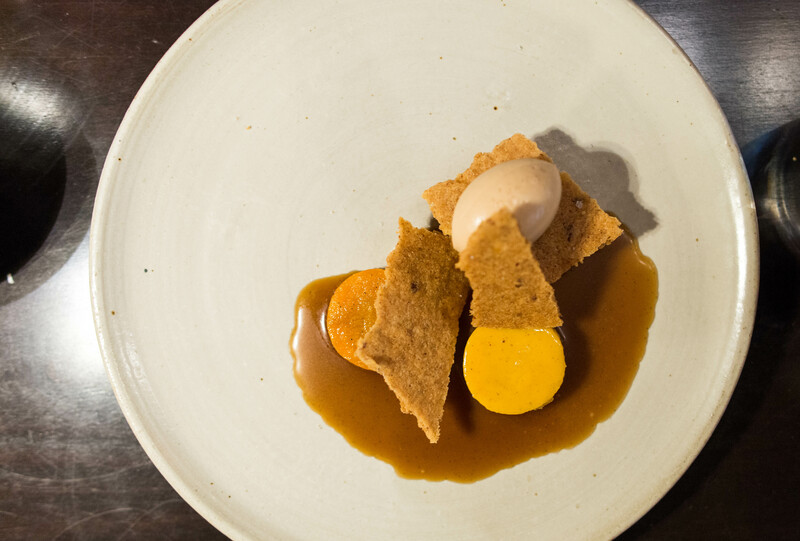 Like all the other dishes, this one is another beauty with discs of sweet potatoes, creme caramel and quenelle of whiskey ice cream. Pour the caramel on top and the piece is complete, ready to be savored. Ah, the perfect end to an elegant lunch at Betony.